All MONTHLY BABY STICKERS OR IRON ONS PDF files are PASSWORD PROTECTED you WILL NOT be able to change any graphics, patterns, font, colors and etc. ALL MONTHLY BABY STICKERS OR IRON ONS, PARTY PRINTABLE PACKAGES & PRINTABLES ARE FOR PERSONAL USE ONLY and CAN NOT be resold for any purpose. 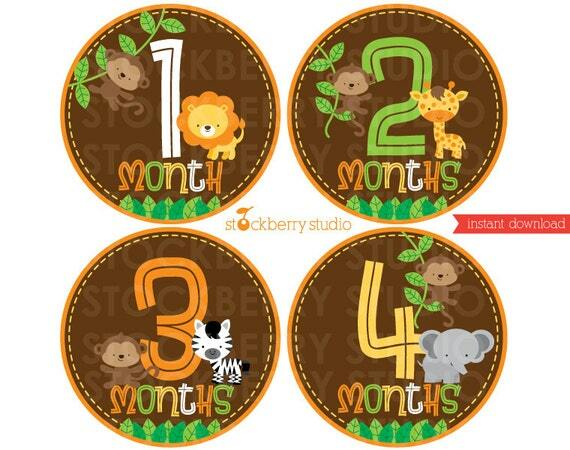 You MAY NOT sell this MONTHLY BABY STICKERS OR IRON ON as a PRINTED OR DIGITAL item.